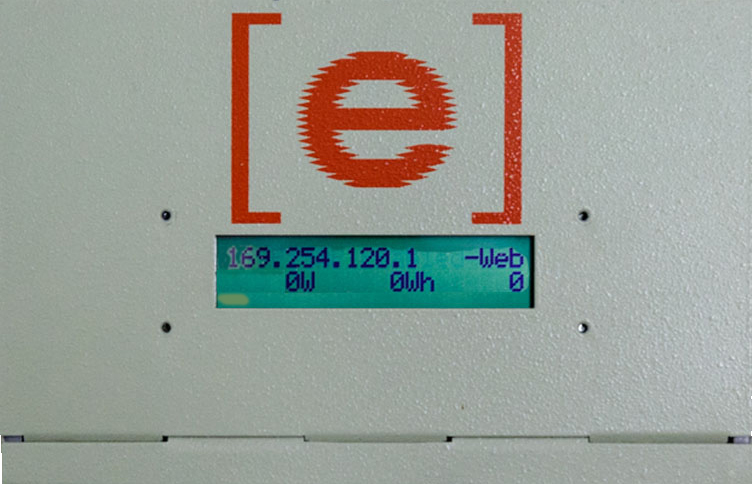 Notice the numbers in the left corner of the LCD display start with 169 the device reads -Web. First, make sure your EMU is powered on. 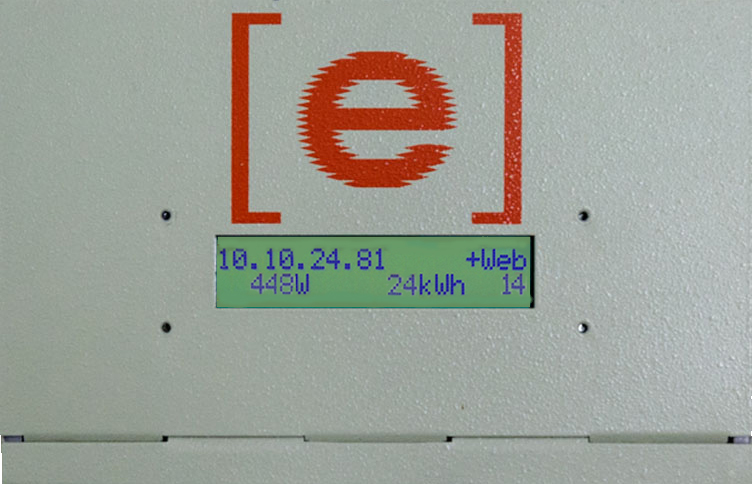 Make sure that your EMU is plugged in to a power outlet and that there is text displaying on the LCD screen. If your EMU is plugged in but does not have power, unplug your EMU and then plug it back in to the power outlet. It will then take about three minutes to fully re-boot. You will know that the re-boot is complete when the LCD screen switches between two information screens. In the upper left corner, you will see an IP address (a series of numbers and dots). If your EMU fails to power up after unplugging and plugging it back in, it may need to be replaced. Please contact customer support for assistance. Next, tell us what type of connection your EMU has. Ethernet bridges are used when the EMU (Envoy) is located too far from your router to connect to it directly. 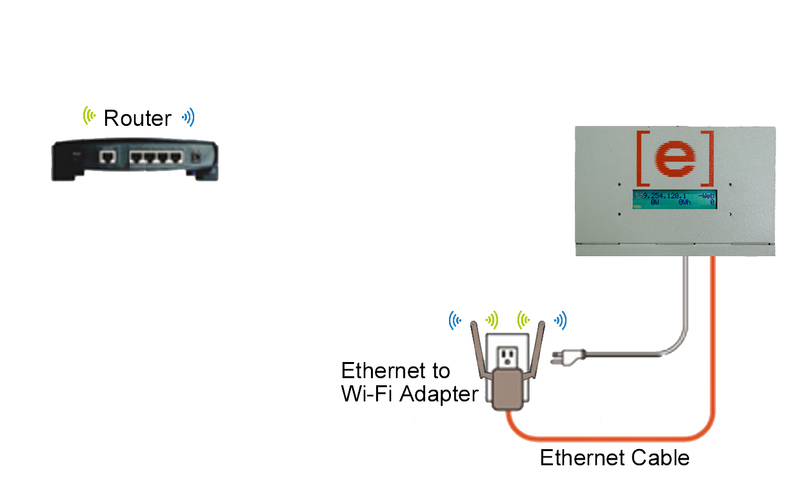 Ethernet to Wi-Fi adapters are used when the EMU is too far from the router to connect via cable directly. The adapter takes messages from the Envoy and sends them to your router wirelessly. Can't find your EMU (Envoy)? If you're having trouble locating your system's Envoy, go here. Has your system stopped reporting data? Has your Internet WiFi password or Internet provider changed? Start here to get your system back up and running.